Yes, Virginia, there were women writers in the early years of the American republic, and Harris, a scholar and founder of the Society for the Study of American Women Writers, gathers extracts from the published works of 10 of these women, covering the years 1790-1830, and forming the beginning of a women's perspective on the founding of the United States. In writing these books, says Harris, the authors claimed""the right to express publicly their opinions on the controversial issues of the era,"" whether religious, political or cultural. Ann Eliza Bleecker offers, in The History of Maria Kittle, the story of a neighboring woman who was taken captive by Indians during the Seven Years' War. 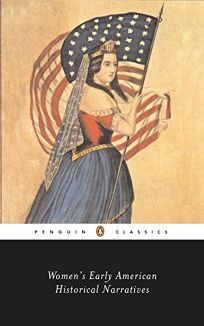 Emma Willard's History of the United States, or Republic of America (published in 1828), reflects her nationalist perspective, and went through 53 printings in 45 years. This is a convenient compilation for readers interested in women's studies and American intellectual history.